Are you one of those unfortunate people who live in an area that has really gross tap water? Perhaps it smells like you’re drinking a glass full of rotten egg water or (I’ve noticed this especially at certain restaurants) it has so much chlorine added that it tastes and smells like you’re drinking a glass of pool water? Or, maybe you’re just a water snob like me. If any of the above apply to you, I’ve got a solution to share with you! 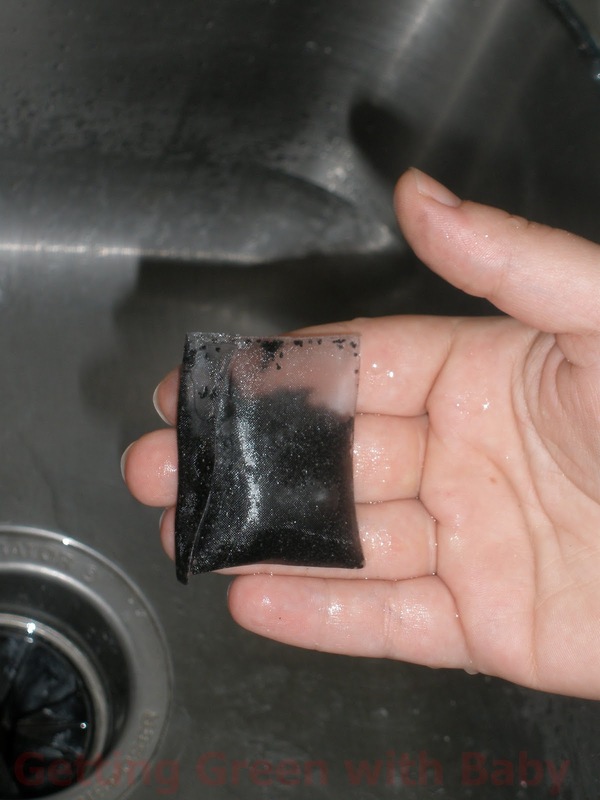 Van Delft Inc. makes GAC (granular activated carbon) water filters for use on the go and at home. They are designed to remove chlorine, chloramines (derivatives of ammonia, yuck! ), odor and taste, and other particulates in otherwise potable water. Each biodegradable (you read right!) filter is about the size of a tea bag and can filter up to 50 Liters of water. You may be thinking, “Granulated carbon? How does it work? Is it safe to ingest?” In a nutshell, the carbon is super porous, so, when your water flows over the surface of it all of the nasty bits in your water attach to the carbon. The activated carbon is also perfectly safe to consume, although it is suggested you rinse your filter off first to get rid of the dust. It is commonly used in hospital emergency rooms to treat accidental poisoning. Pretty cool, huh? 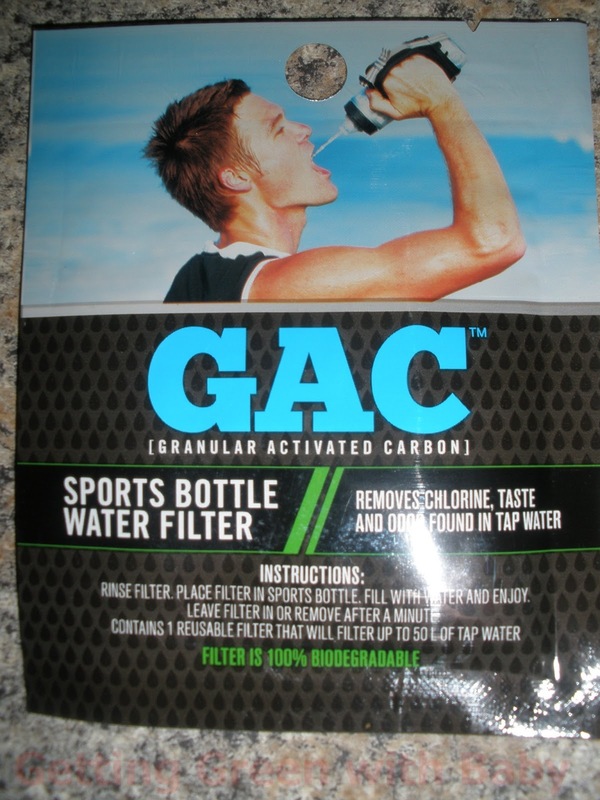 GAC water filters can be really handy on the go since they don’t take up much room in or out of your water bottle, but can be used at home as well. Instead of buying an expensive water filter system for your faucet, just get a pitcher of water and stick one of these little guys in and let it set for a few minutes to let the activated carbon work its magic! These are also great for people who enjoy outdoor activities, such as hiking, biking, etc. since they easily fit and don’t take up hardly any room in your sports bottle. These would be great for parents too for running to the store and going on other errands. I’ll be honest, I haven’t used these as much as I would like, even though I take a water bottle with me to work every day. I work in Hot Springs National Park so I have ready to drink, non-treated, potable straight from the ground thermal water available to me while I’m working. However, since we have city water at home, I have used these water filters there and while out on our walks. I usually drink the filtered water from our refrigerator machine at home, but I have tried the filter with our tap water and it tastes just as good as the filtered refrigerator water! These have also been a lifesaver on our afternoon strolls, as I mentioned, because I’m a bit of a water snob and find drinking fountain water to be kind of gross. So, I just filled my reusable water bottle up, with my GAC filter already inside, swished it around a bit for the activated carbon to do its job and voila! Non-yucky drinking fountain water! Van Delft Inc. is so sure you will be satisfied with their GAC filters that, if you go to their website HERE and click the blue “Try One for Free!” button in the top right corner, they will send you a sample to try one for yourself! If you would like to go ahead and order some, they are very affordable and can be purchased HERE. Getting Green with Baby was not compensated monetarily for this review. I received a GAC water filter in exchange for my honest opinion and review. All opinions expressed herein are my own.